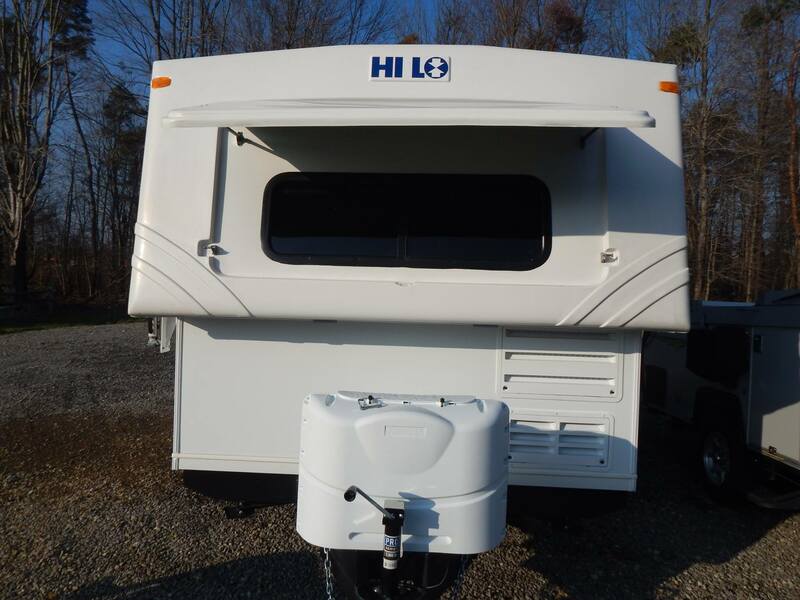 Last month I shared some pics of a couple of the reintroduced Hi-Lo trailers from their production facility in Pennsylvania. 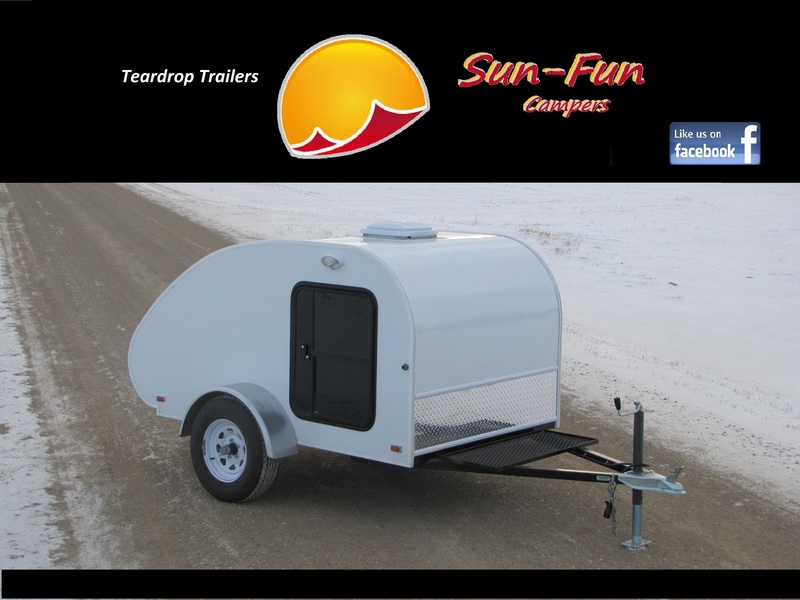 Those two prototypes are now complete and have arrived at the Transfer, Pennsylvania lot of Kerola’s Camper Store, where owner Bill Kerola heads the Hi-Lo Trailers effort. 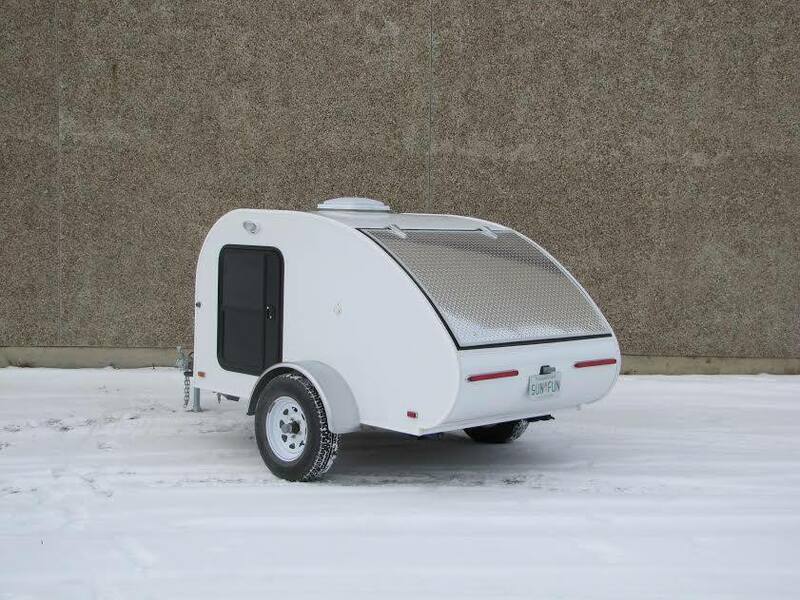 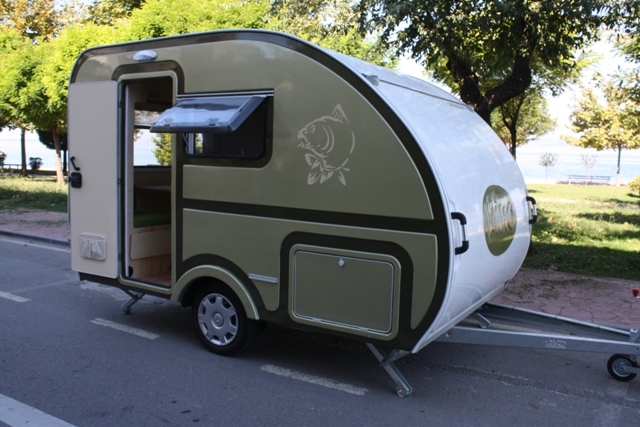 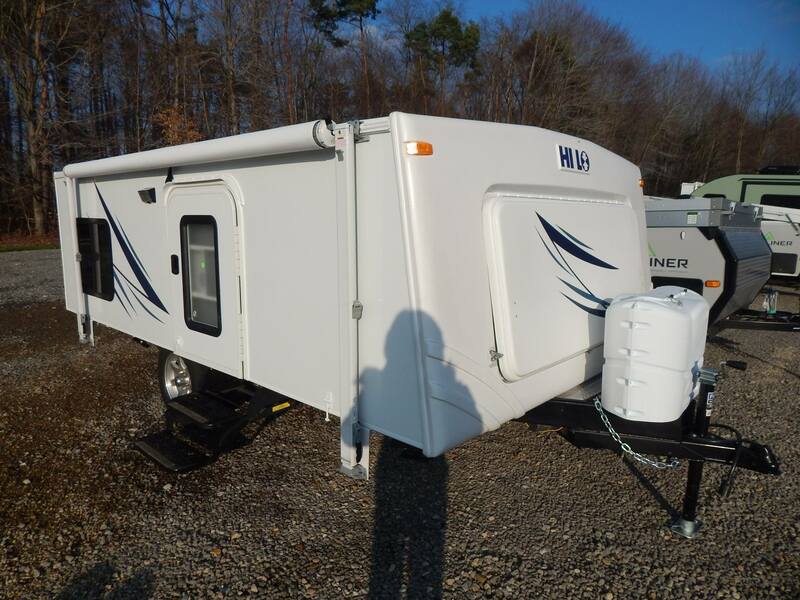 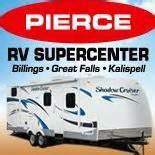 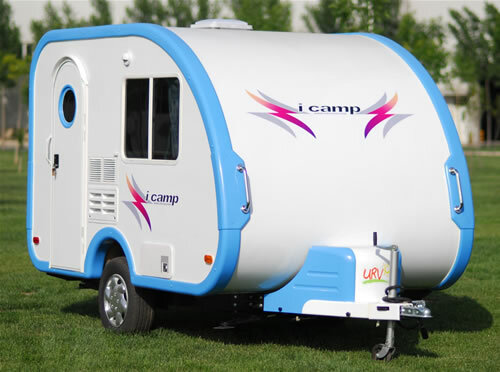 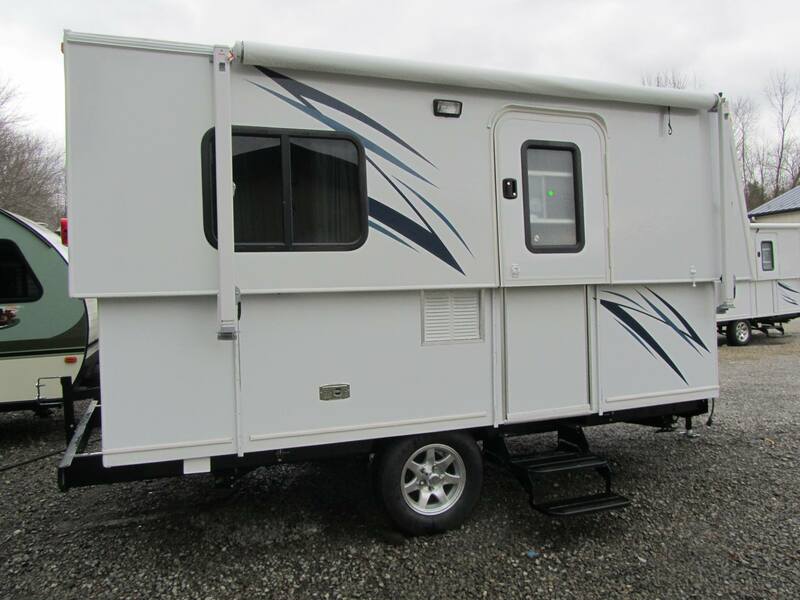 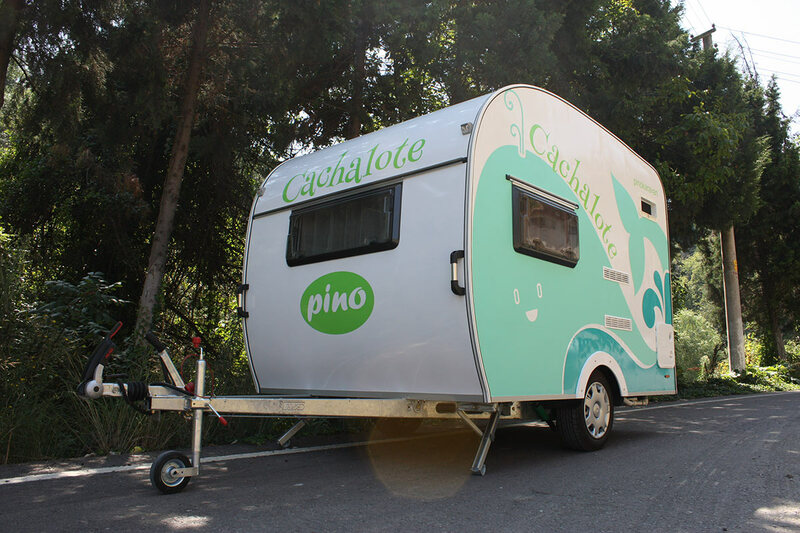 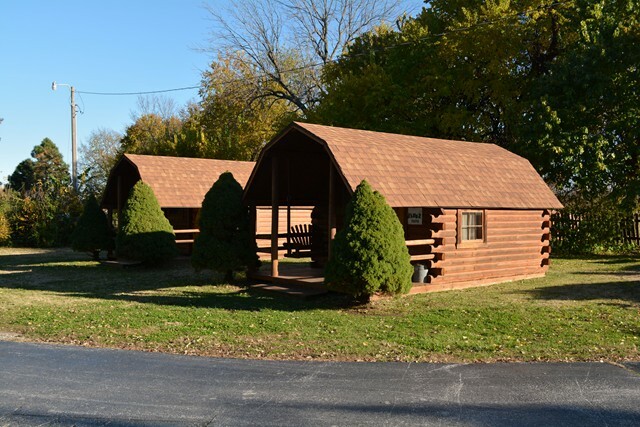 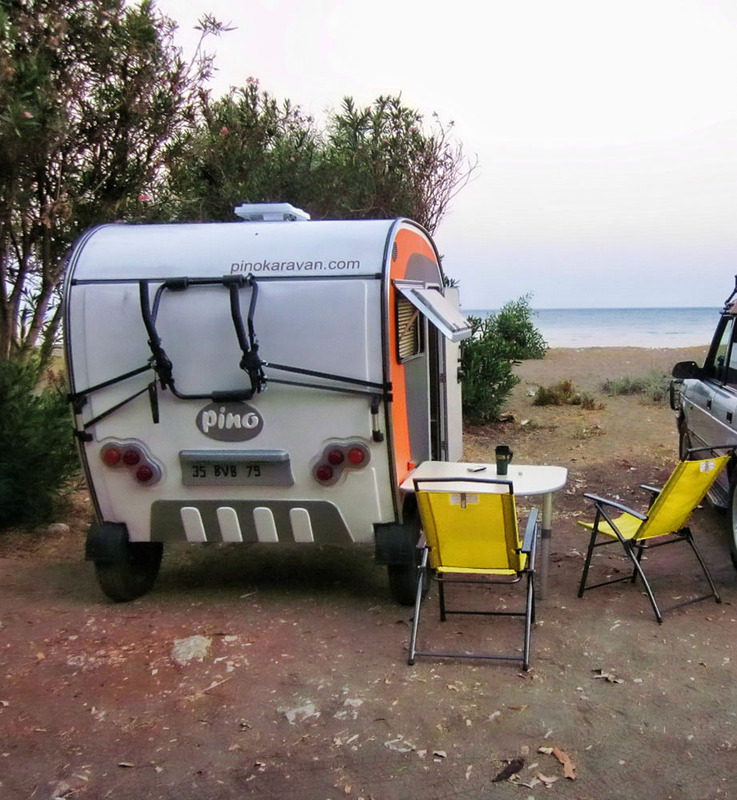 Per the Kerola’s Camper Store Facebook page, the two units are available for viewing if you’re in the area. 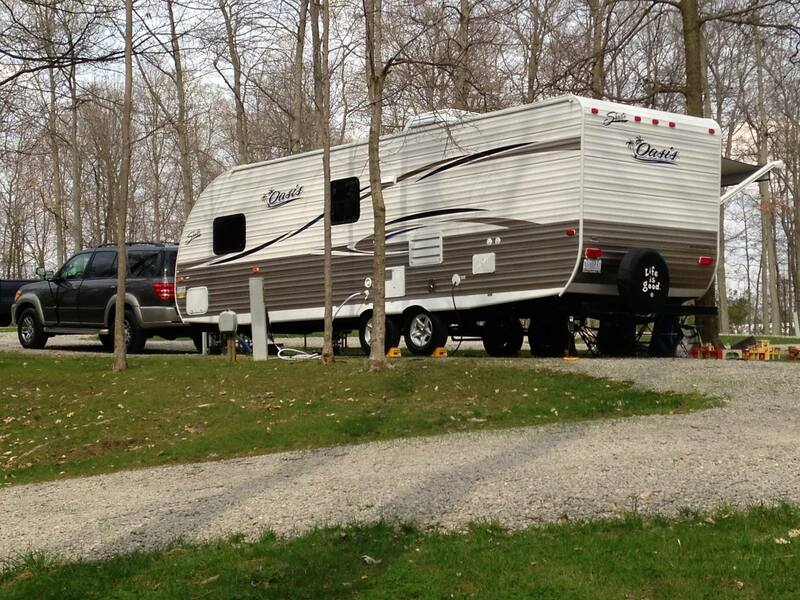 One unit, the Wanderer RB, can be seen at the nearby Shenago Valley Mall in nearby Hermitage, PA. 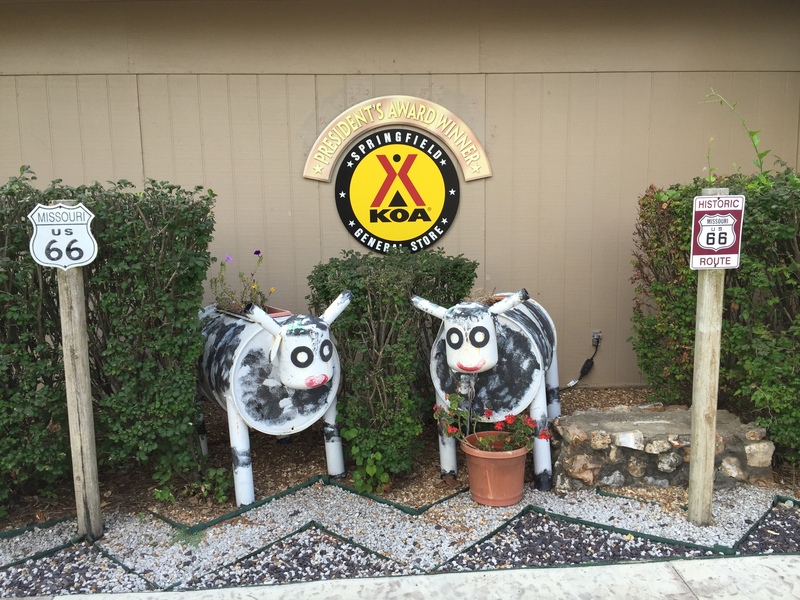 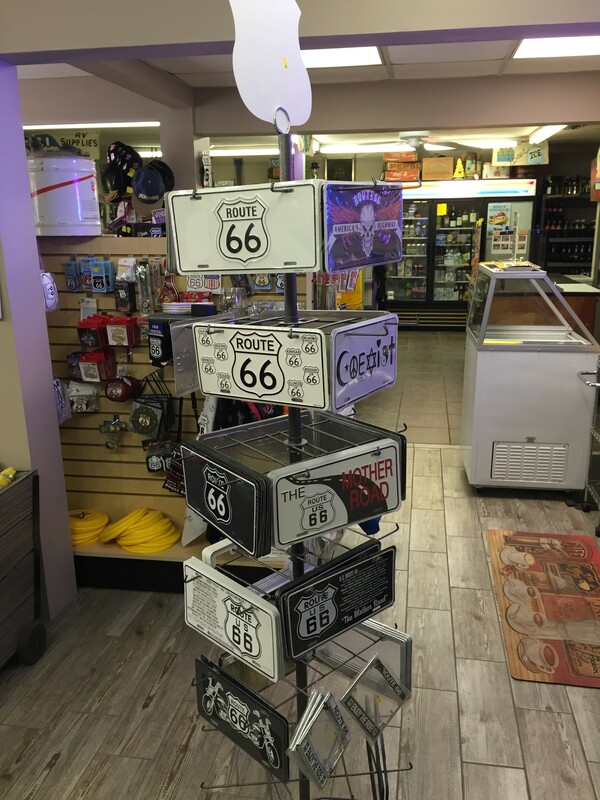 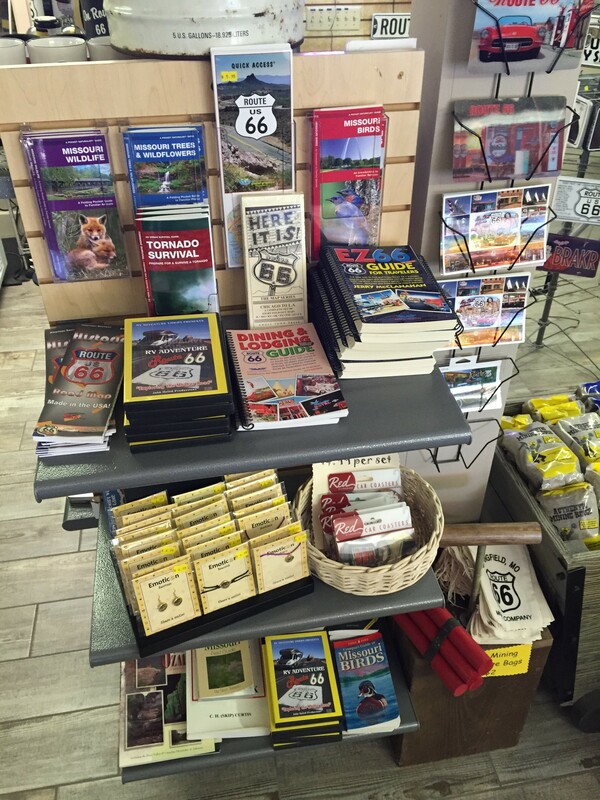 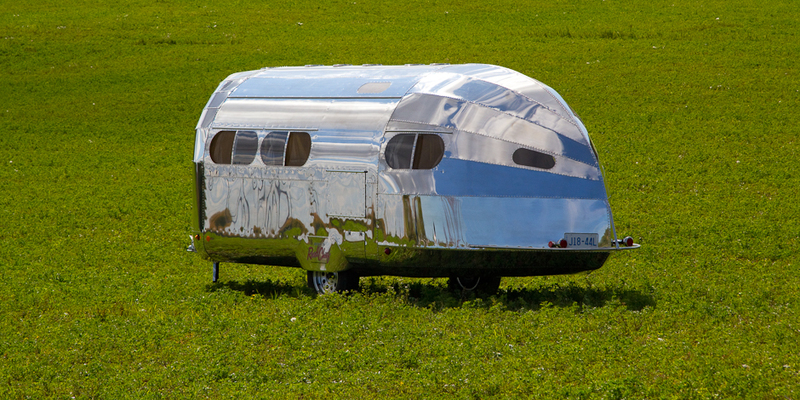 The Wanderer SD should be available at the Kerola’s Camper Store at 3610 N Hermitage Road (Highway 18) in Transfer. 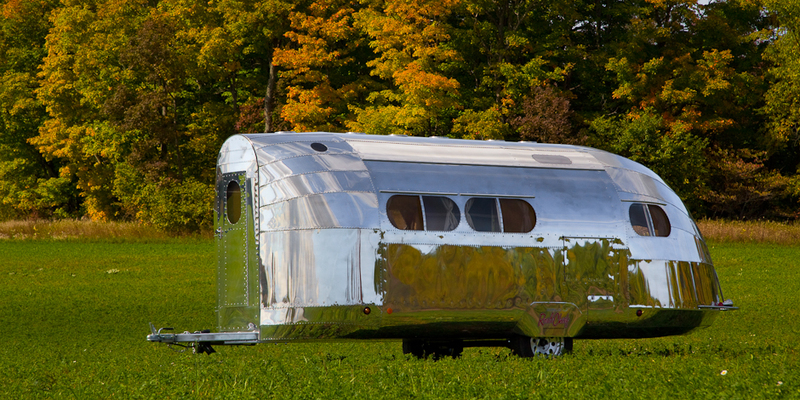 However, if you’re driving from any substantial distance to see either one, it’d be best to contact Kerola’s at (724) 962-4561 to confirm either Hi-Lo will be available to be seen. 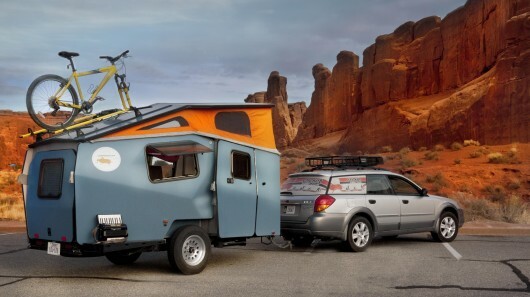 First off is the Wanderer SD. 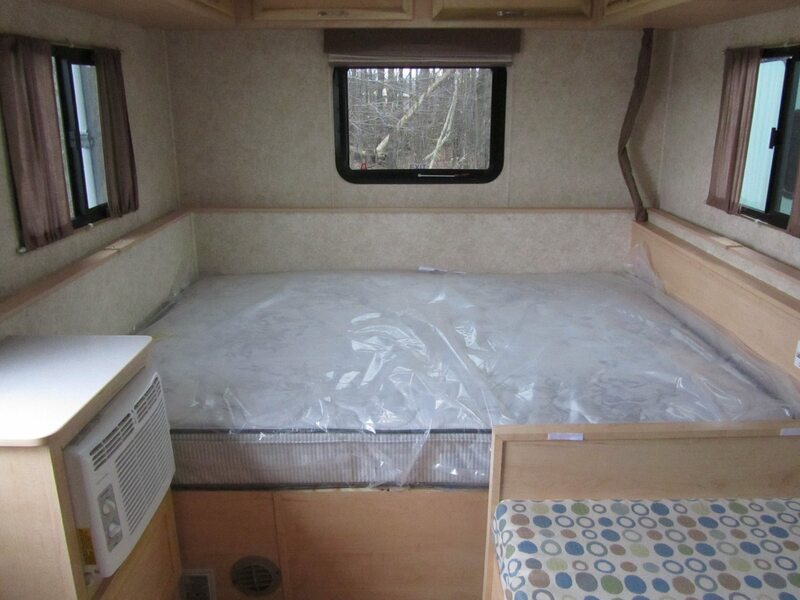 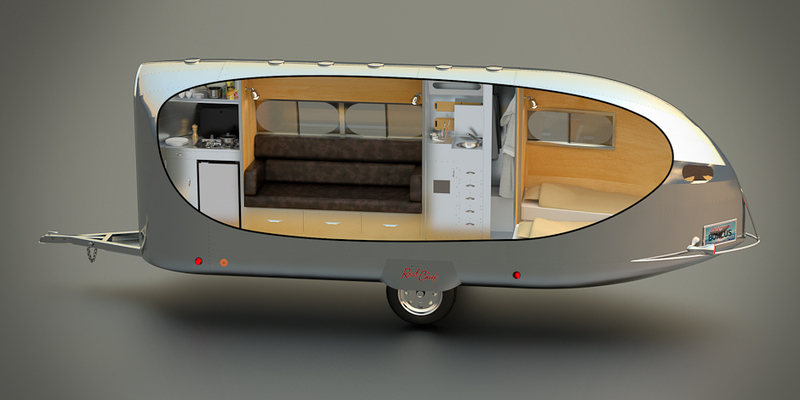 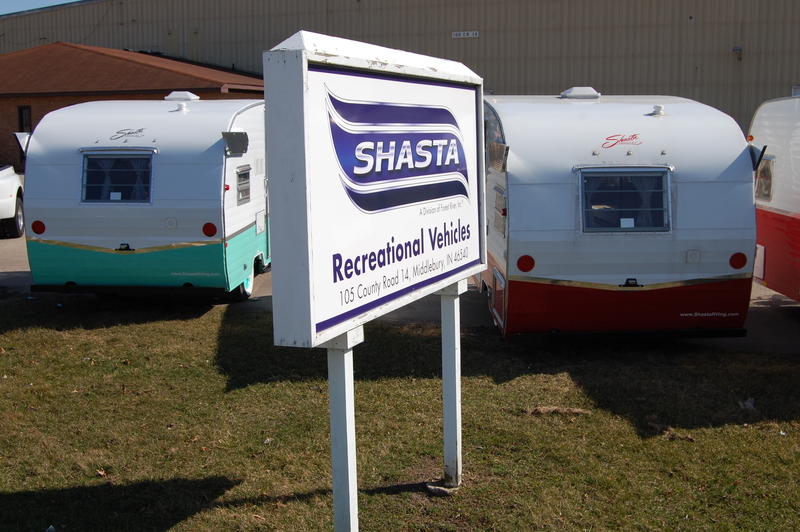 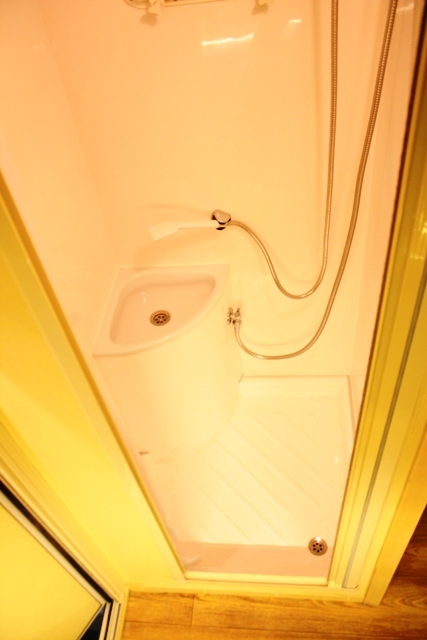 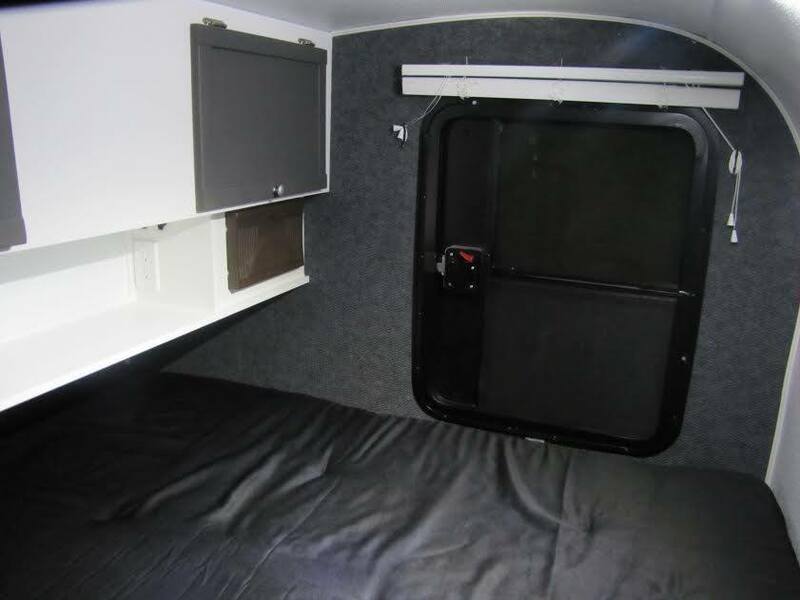 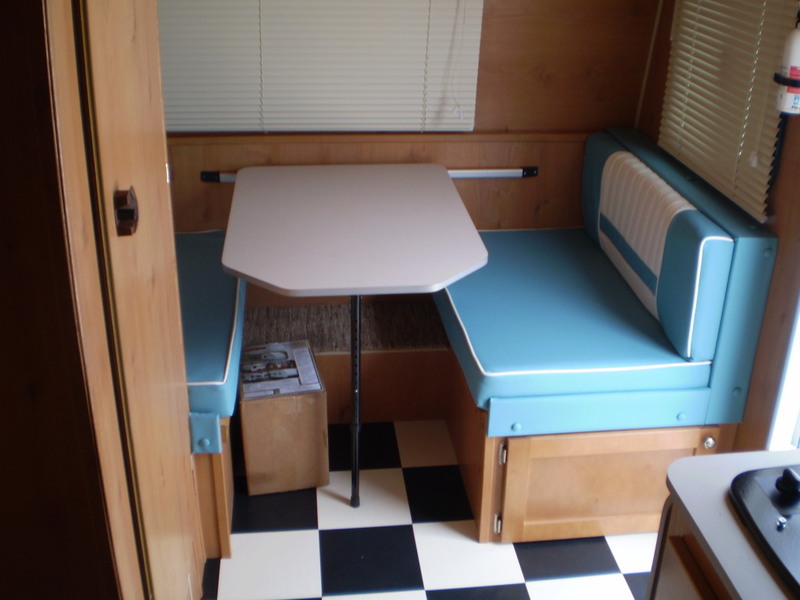 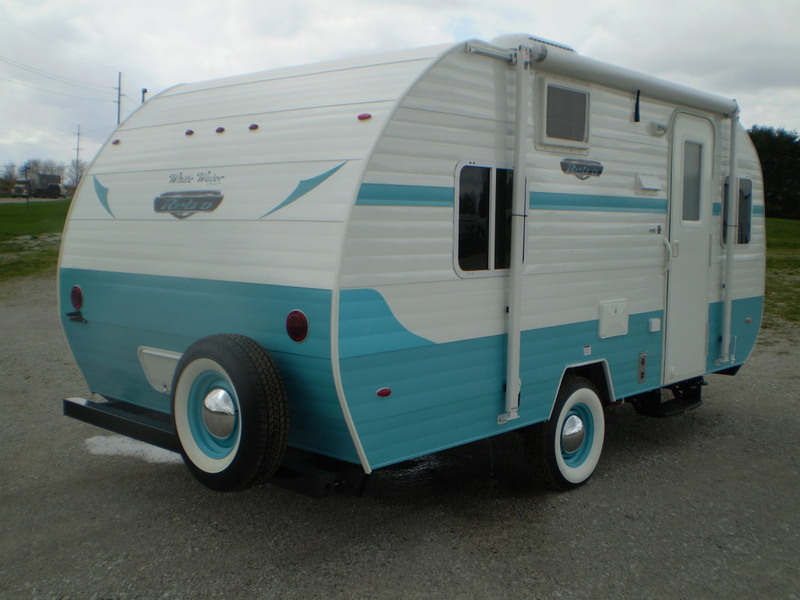 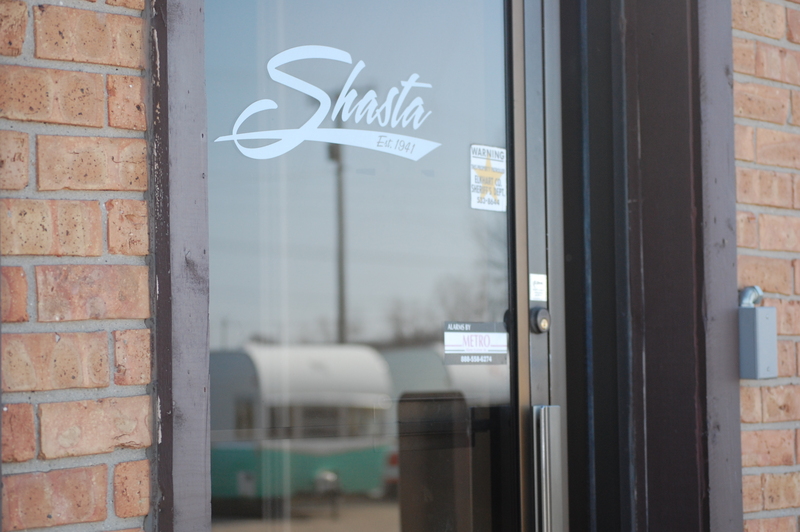 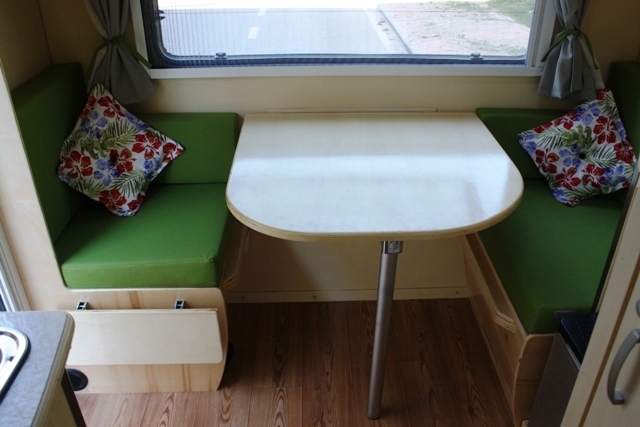 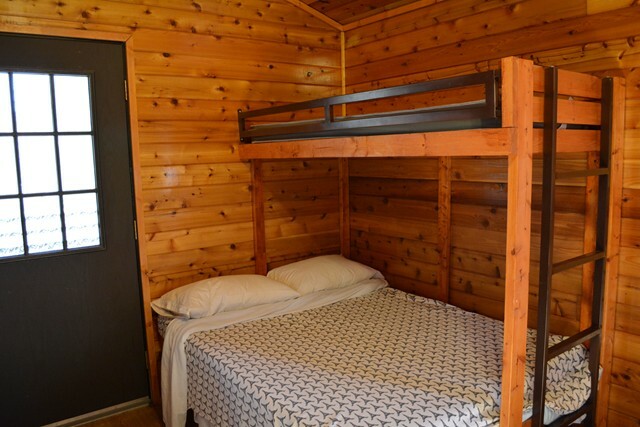 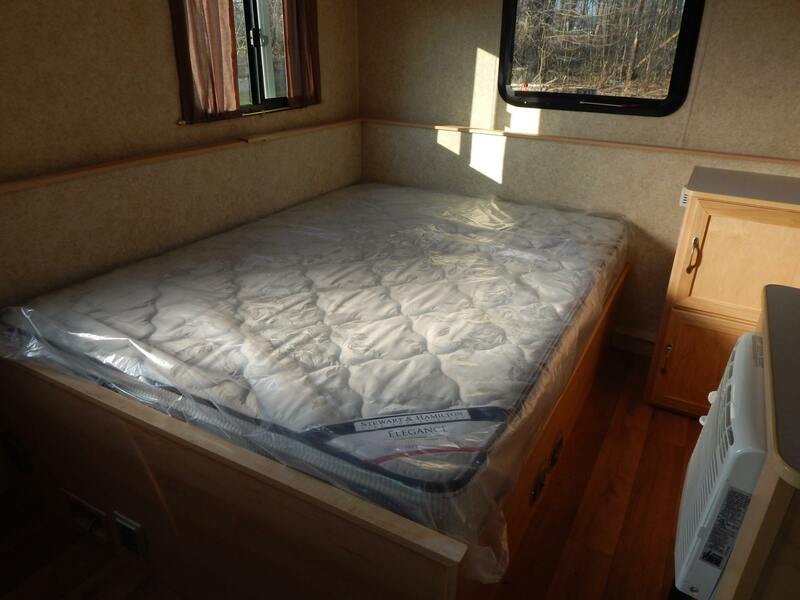 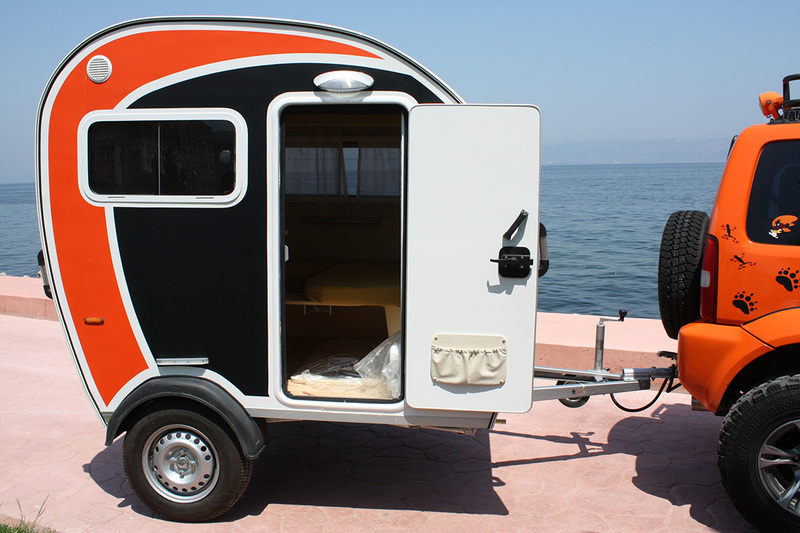 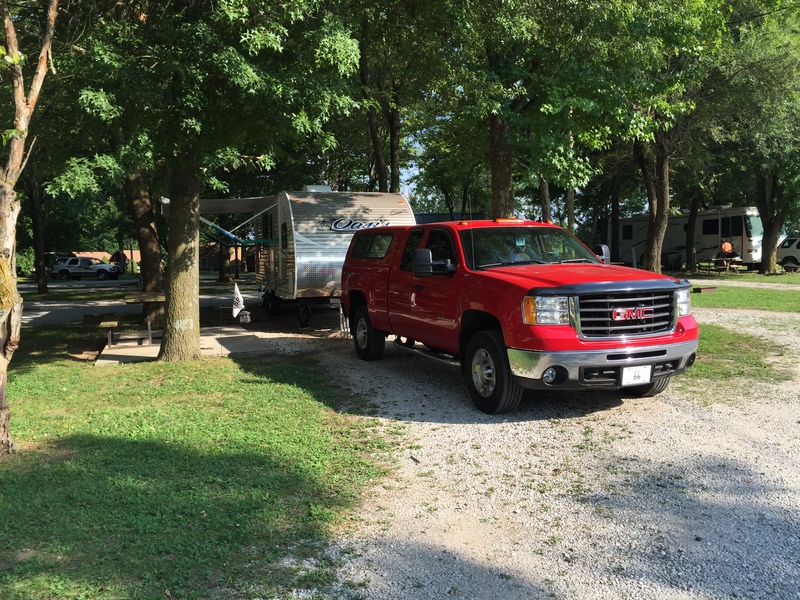 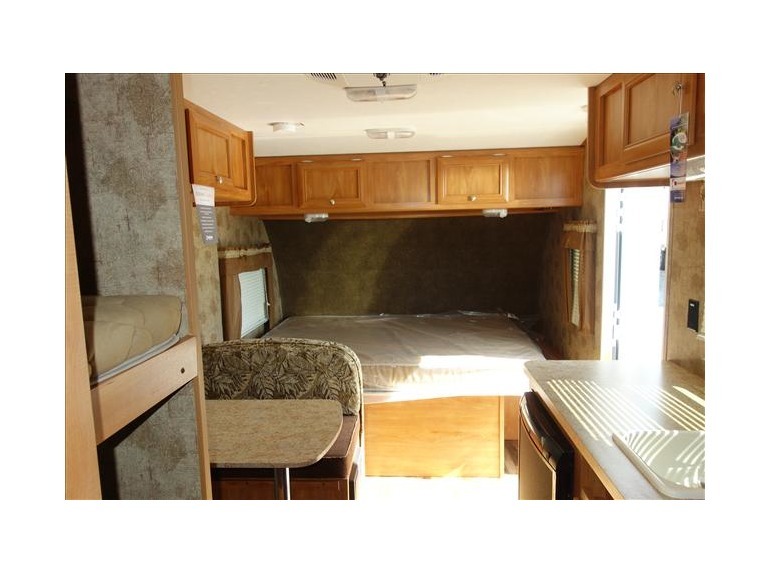 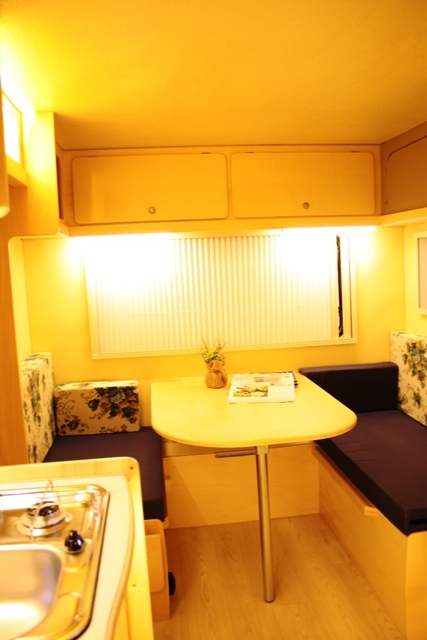 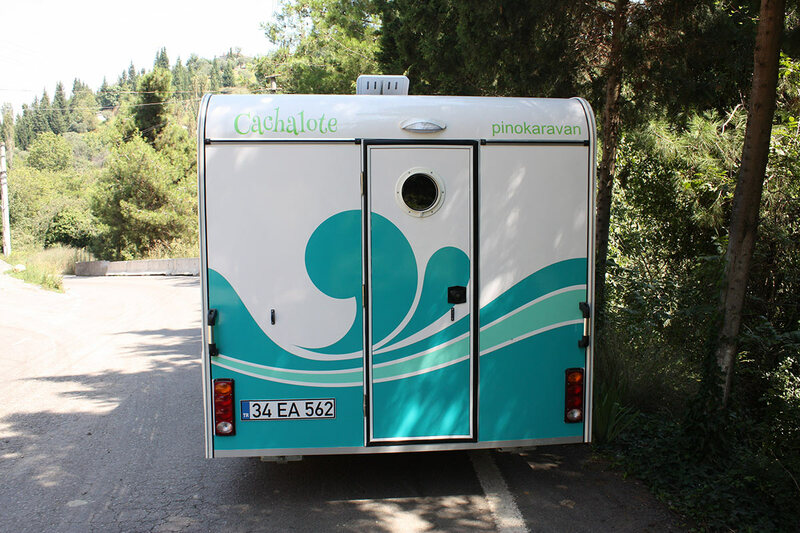 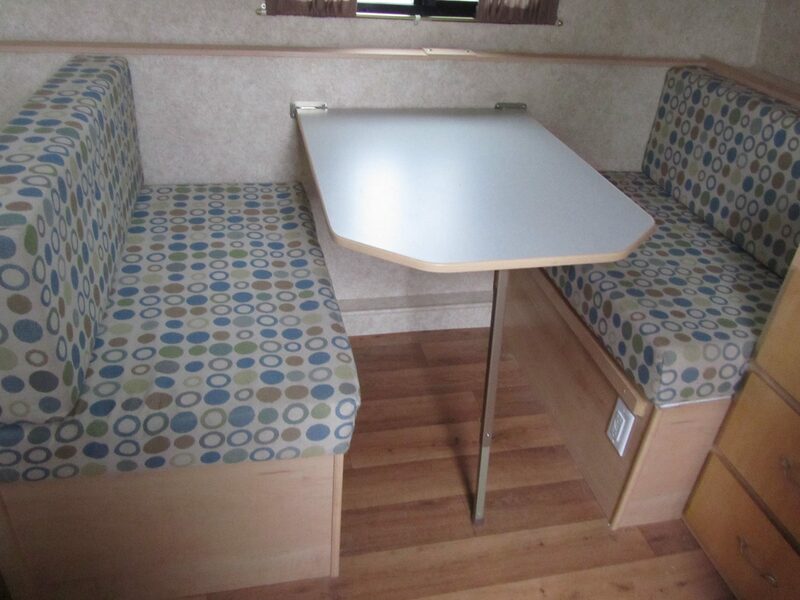 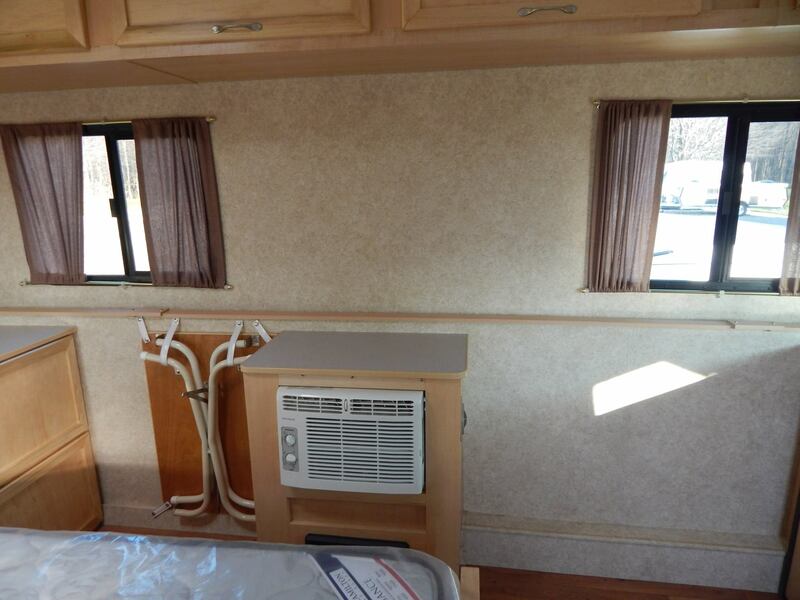 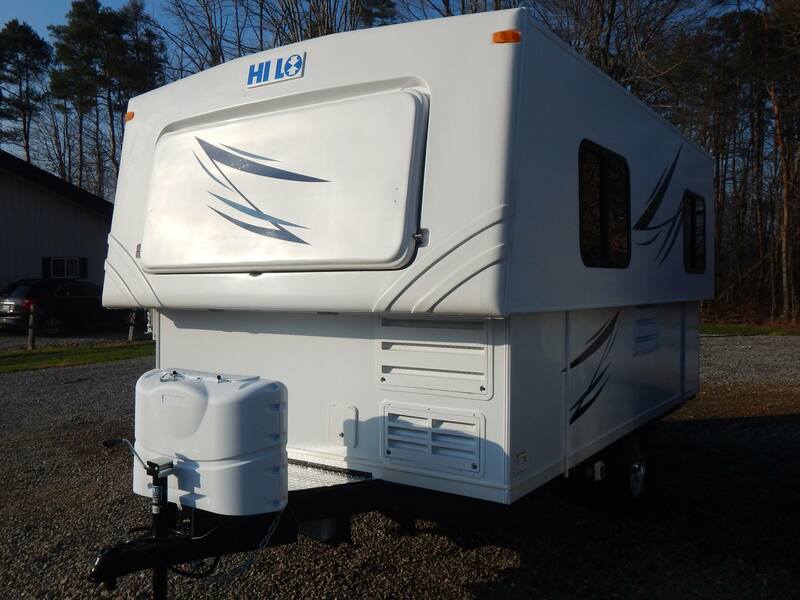 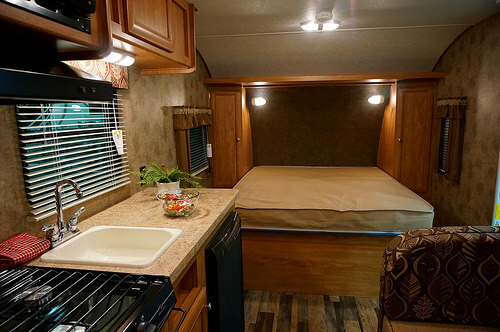 It comes equipped with a rear queen bed and side dinette. 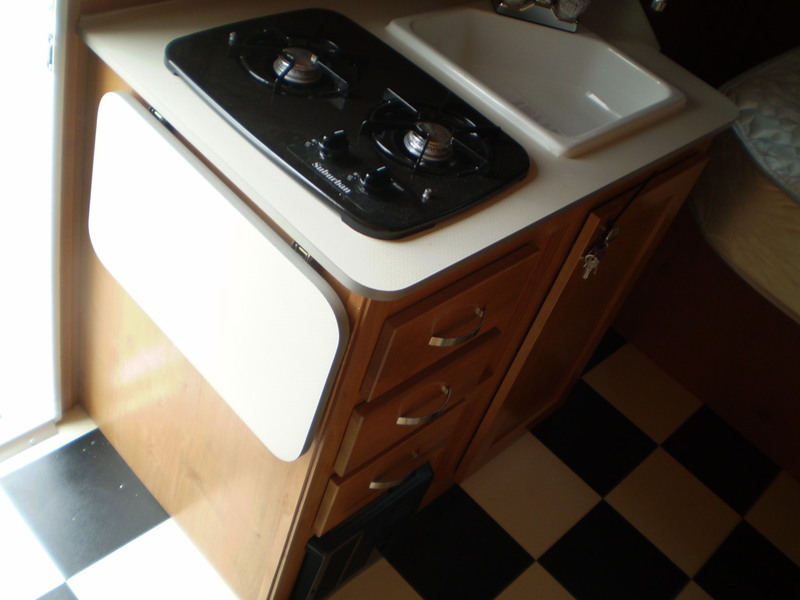 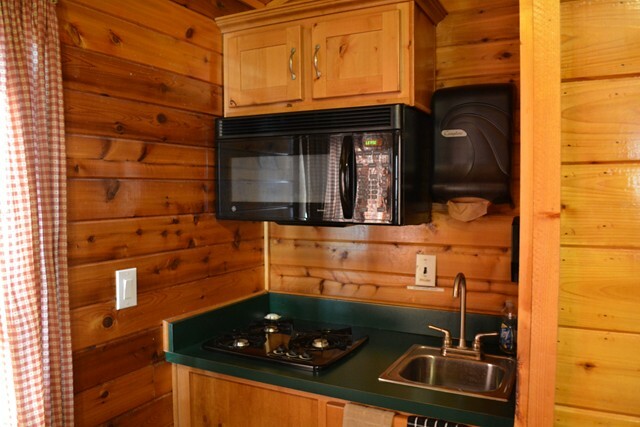 It has A/C, furnace, stove, and 3 Way Refrigerator. 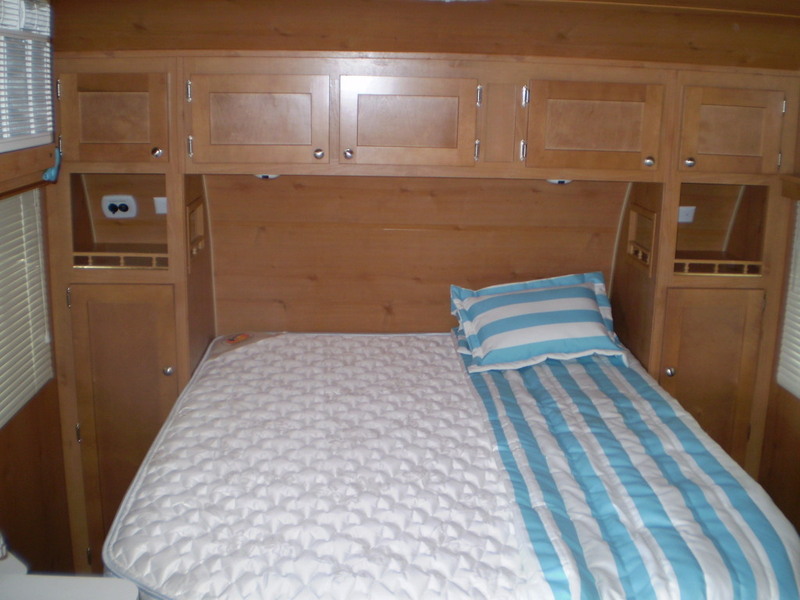 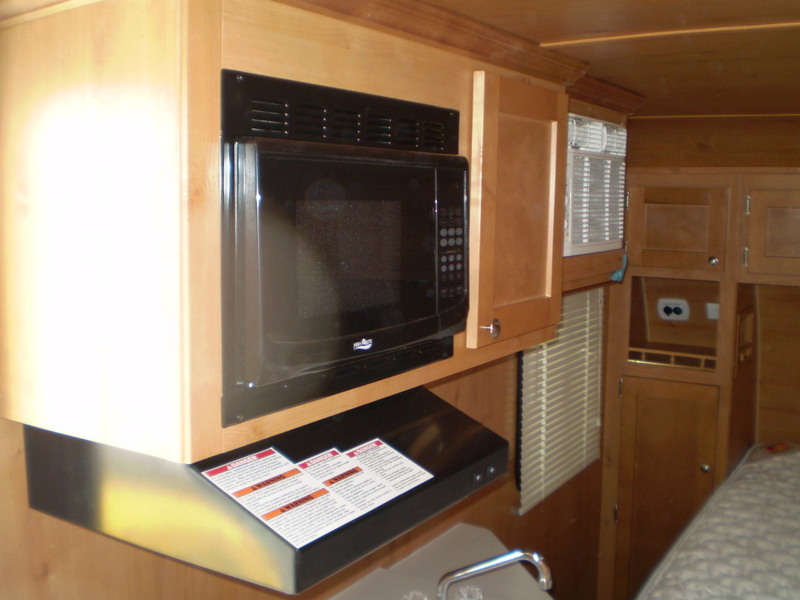 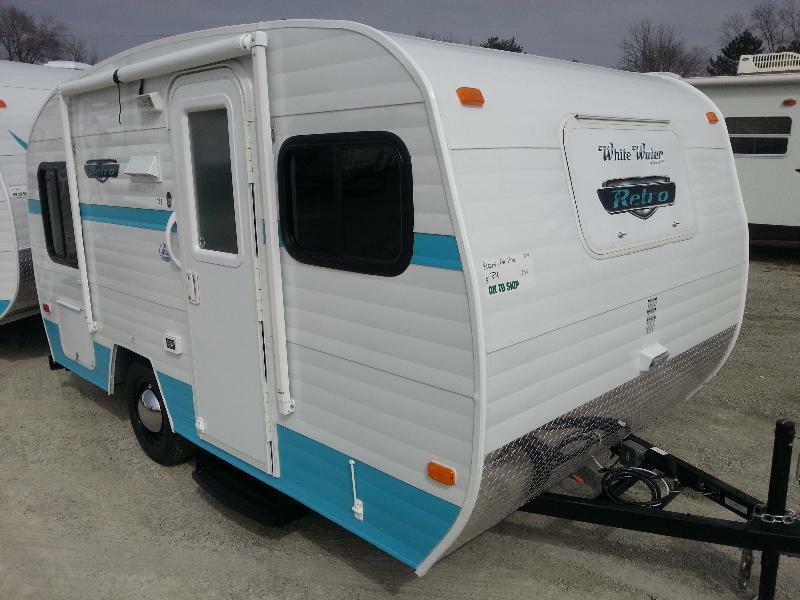 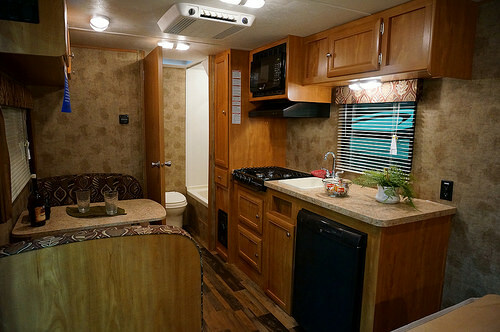 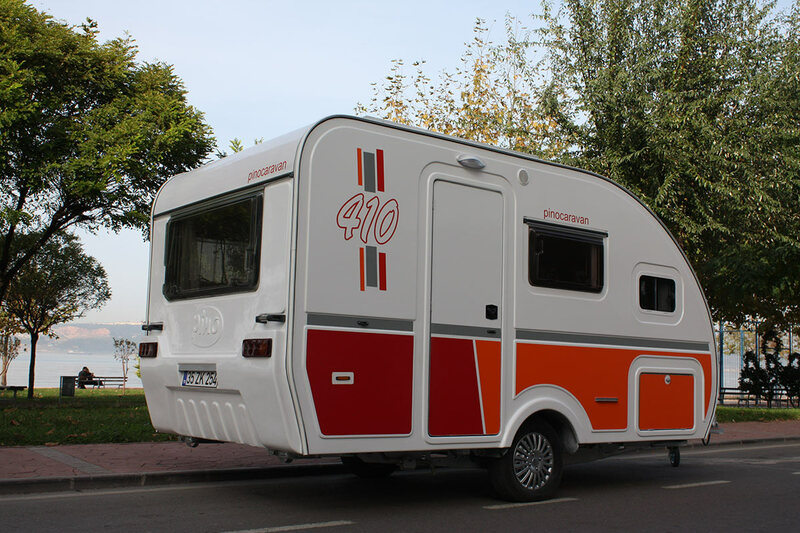 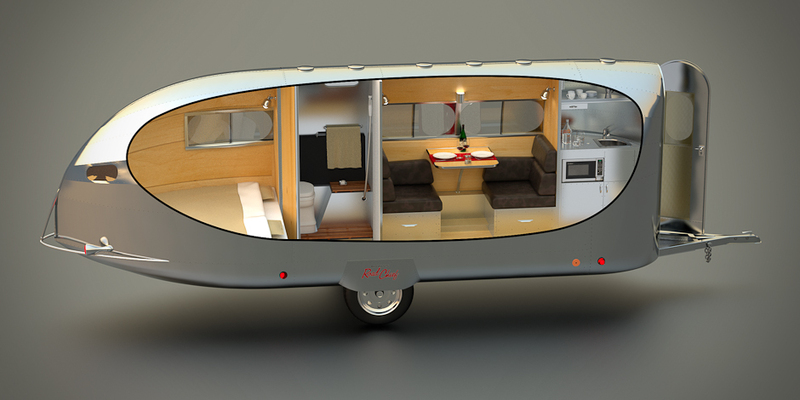 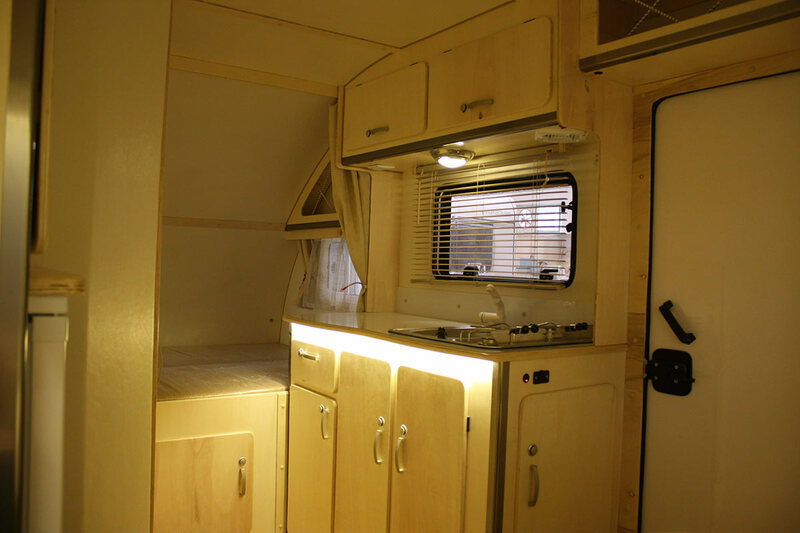 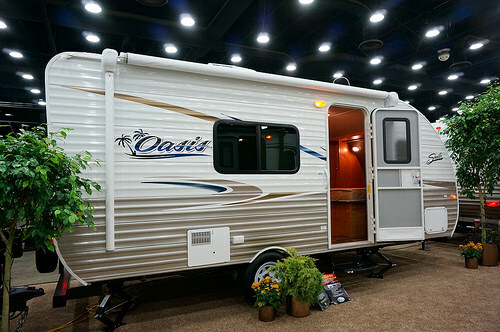 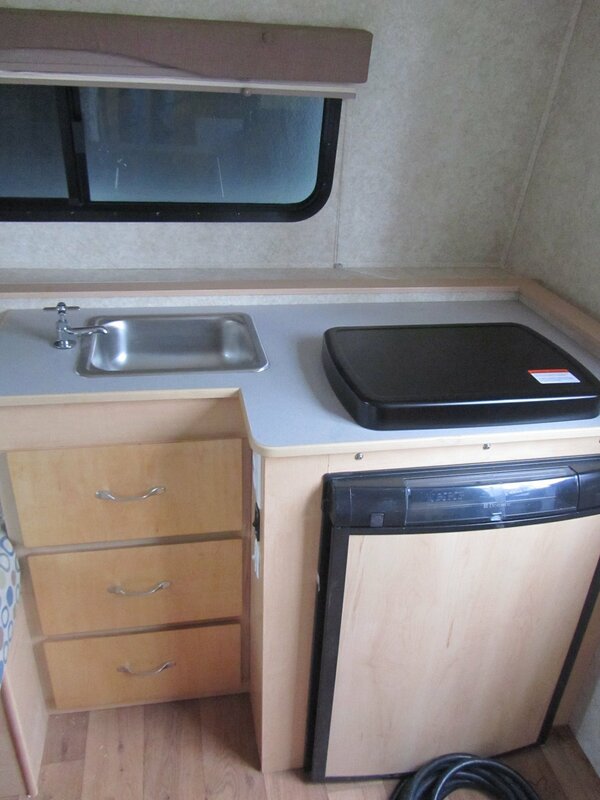 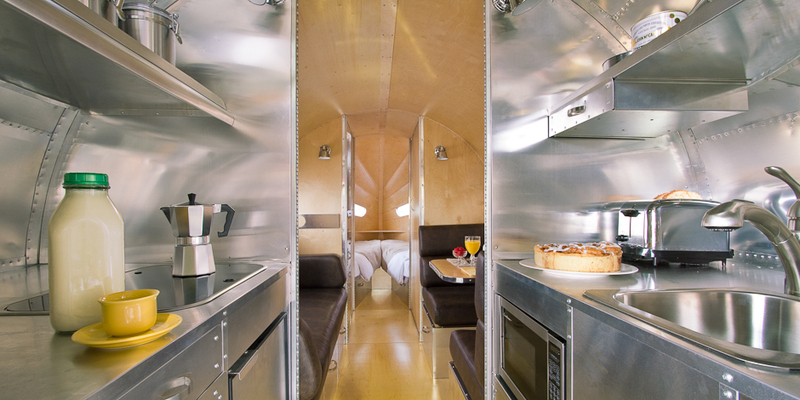 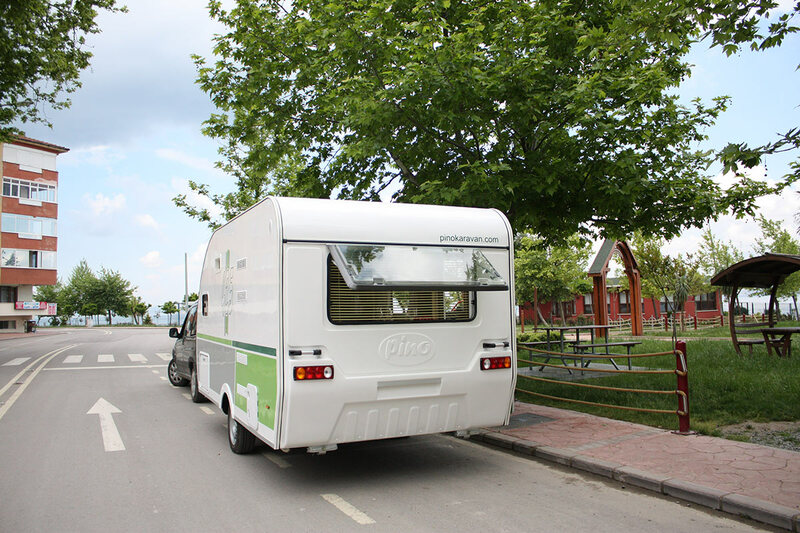 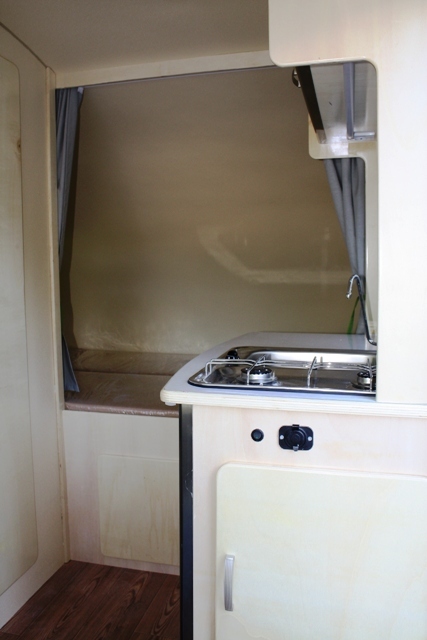 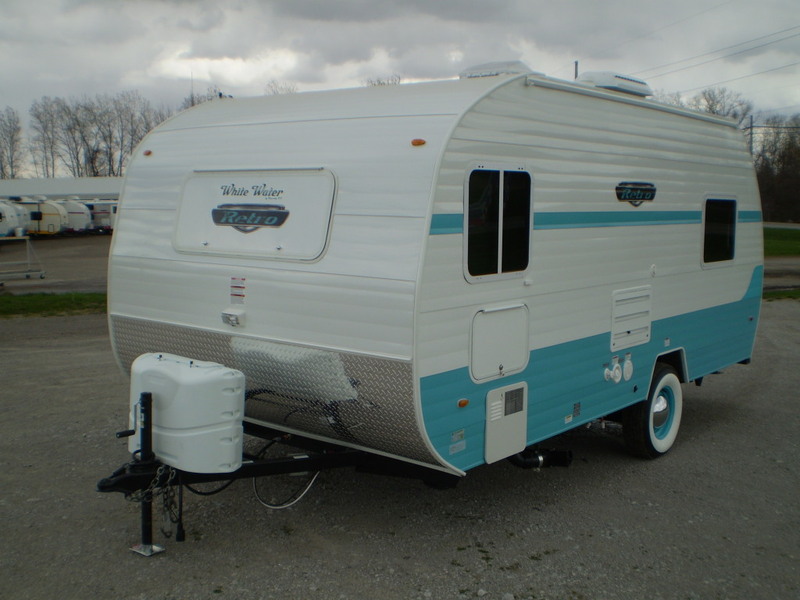 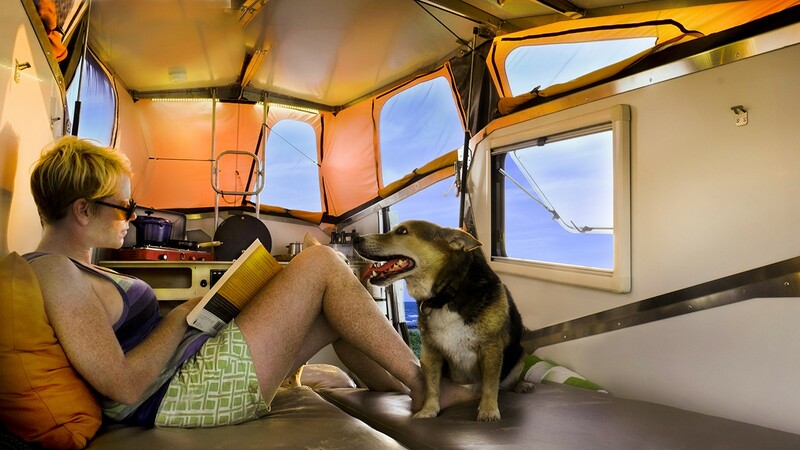 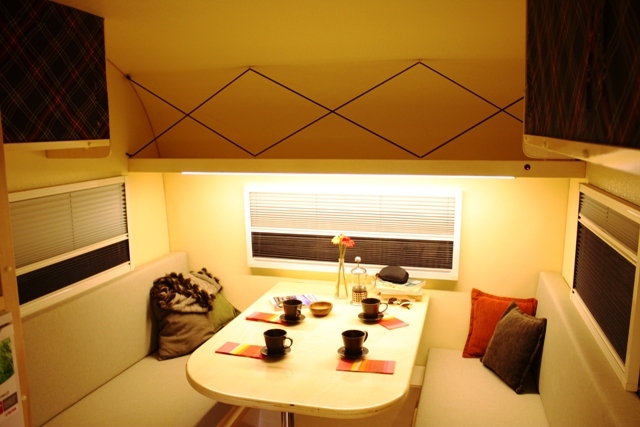 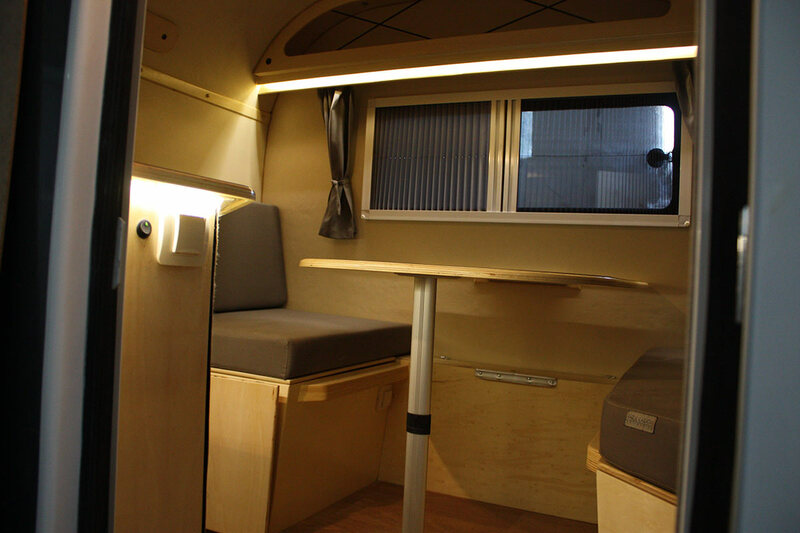 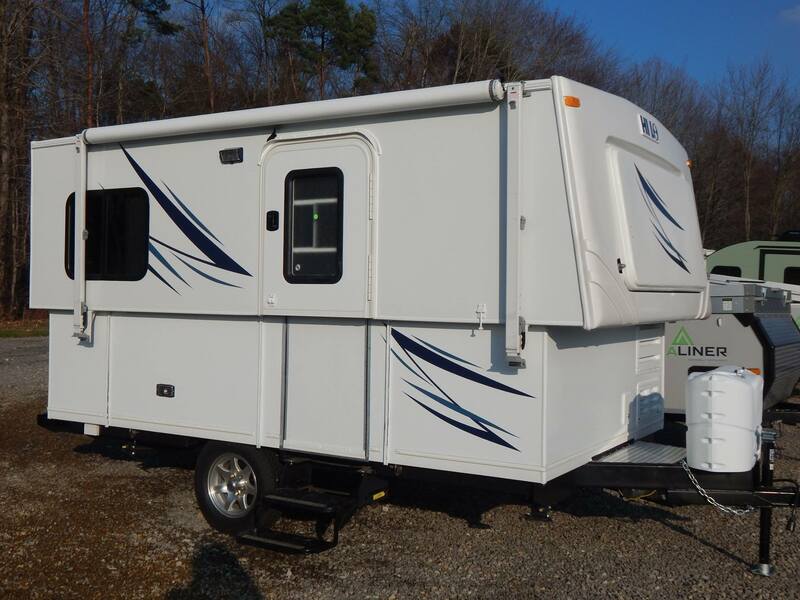 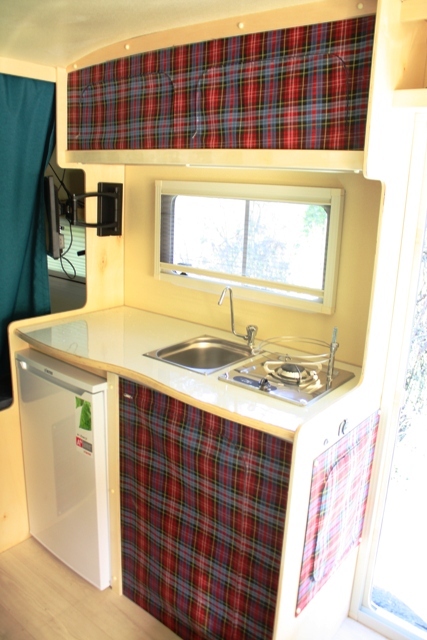 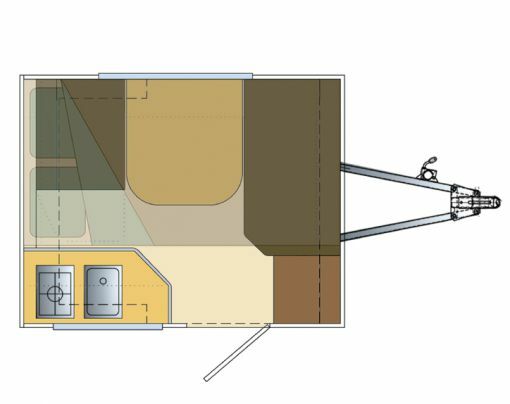 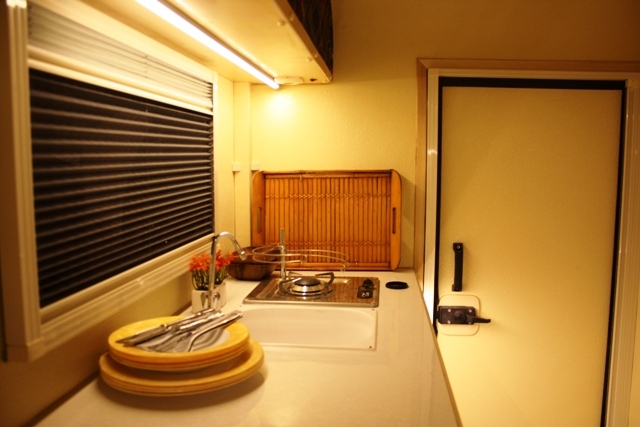 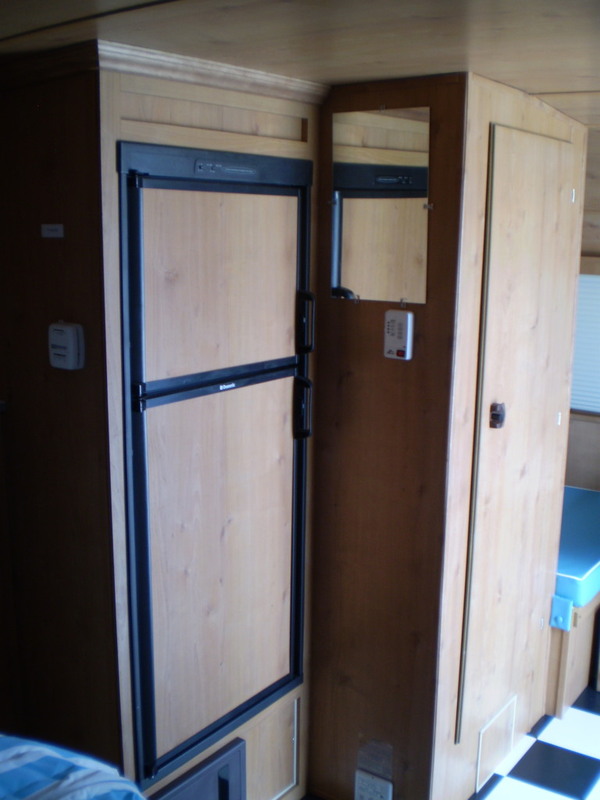 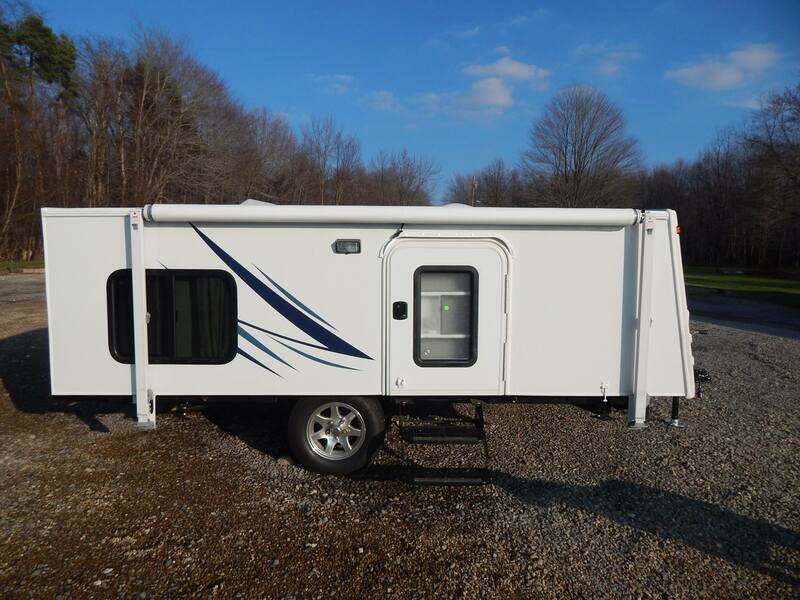 The Wanderer RB also features a rear queen bed and side dinette A/C, furnace, stove, and 3-way refrigerator. 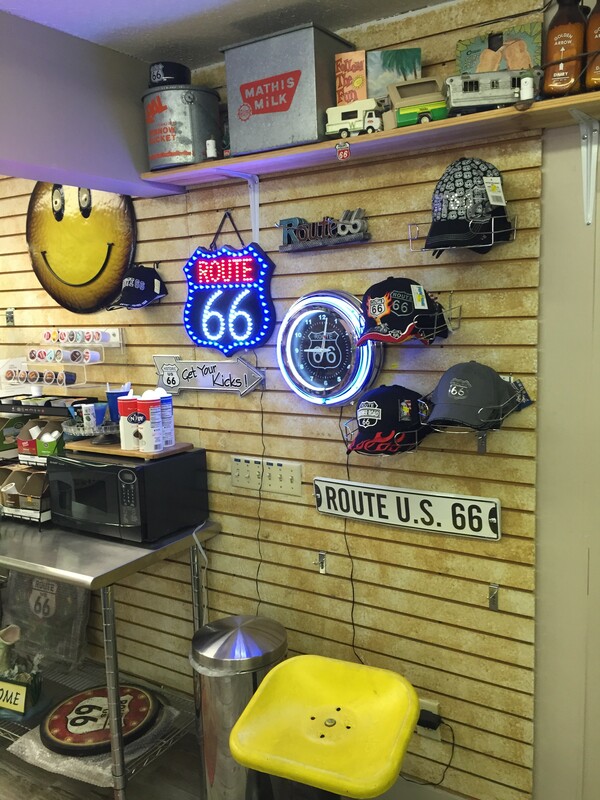 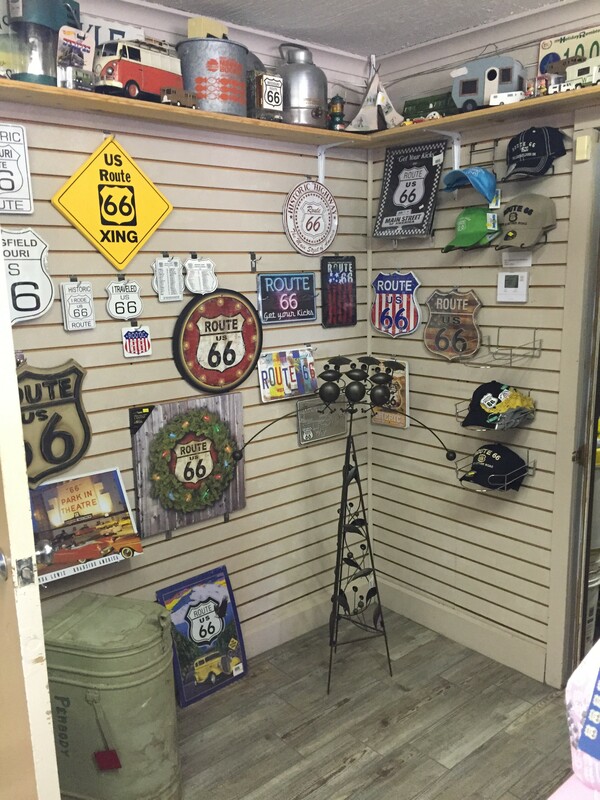 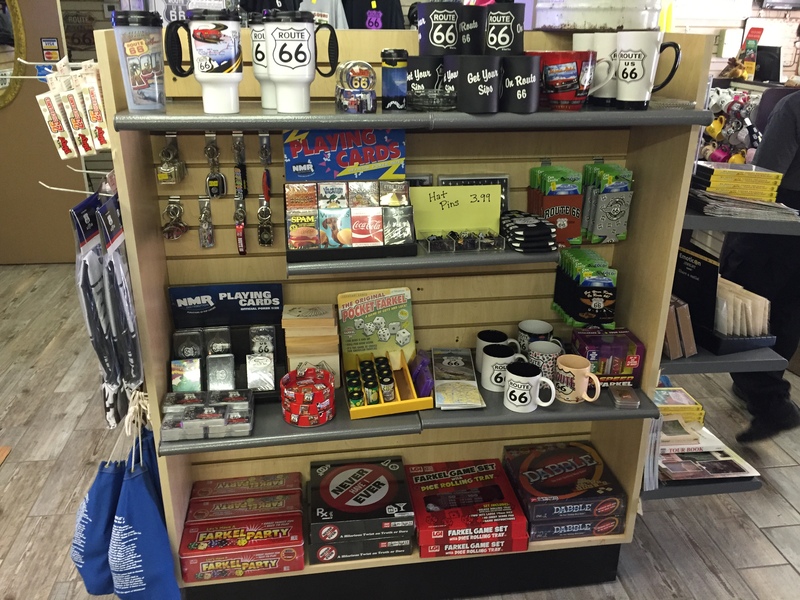 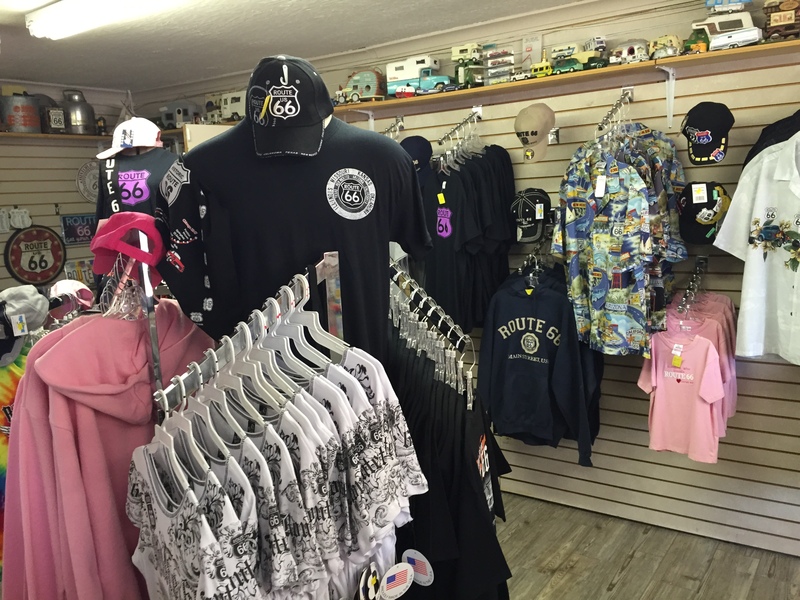 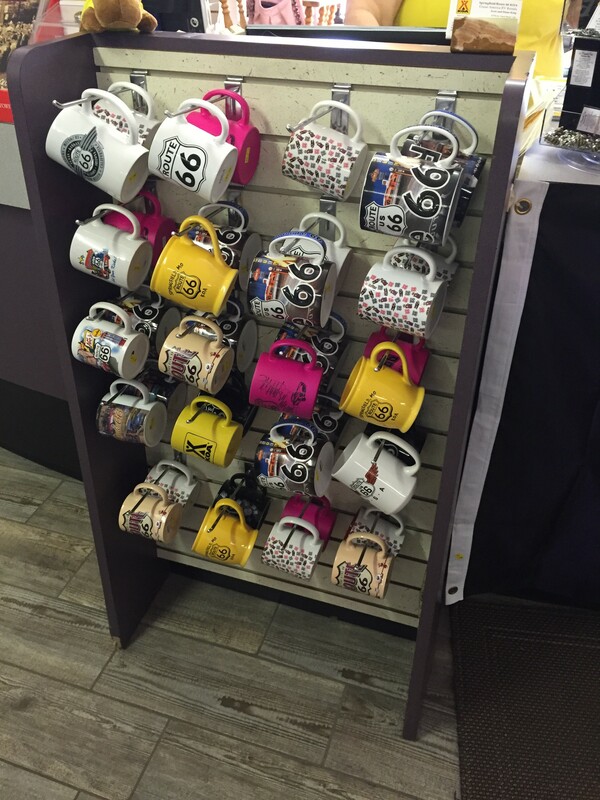 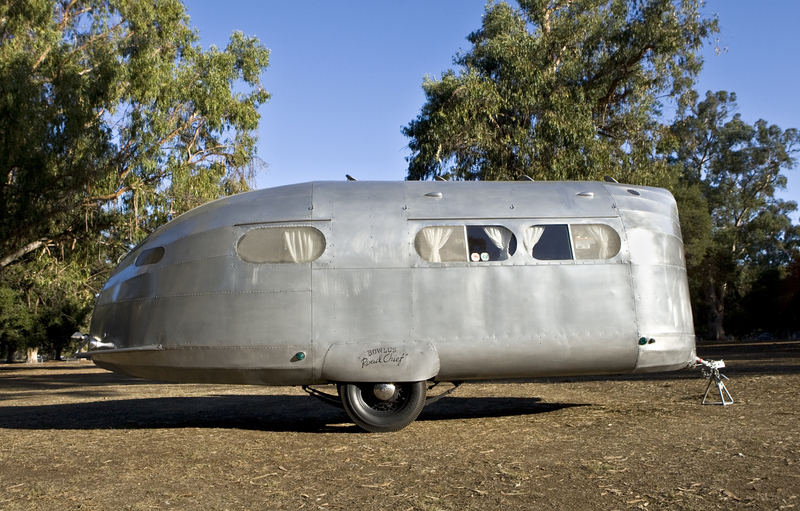 Note: All pics above are courtesy the Kerola’s Camper Store Facebook page.